Changing the look of your home or office has gotten so much easier since Upcycling became the latest fun and hip trend. 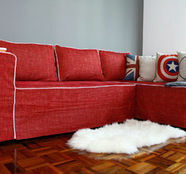 The designers have come up with dozens of beautiful, edgy, fun loving fabrics for your couch to keep current. From chic leather, sweet floral prints, vintage patterns, naval stripes, plain block colors, you name it, they have it, and they even cut it! 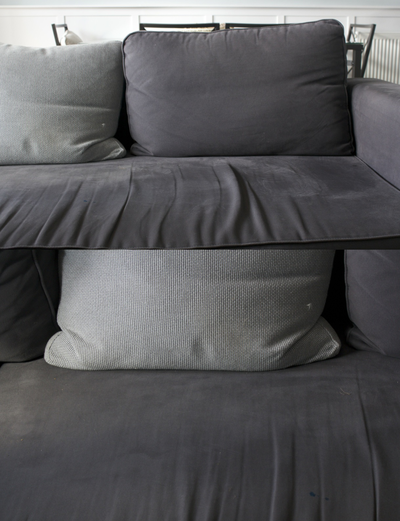 Starting out as an idea to give IKEA customers more options in soft furnishings, Comfortworks has since also responded to their client’s other customization needs. Aside from the various sofa covers for IKEA sofas, curtains and pillows, the people at CW are also willing to cut new covers according to any other sofa measurements (but at additional costs). I would imagine that with their versatility in fabrics, clients can request for other soft furnishing customizations too. Based on the number of blog reviews, CW products are quality guaranteed if not over exceeding expectations. Fabric, structure, fitting and sewing techniques are all top notch quality with no room at all for discrepancies and slack. A spot of brashness on a leather fitting will be repaired until client-worthy; else back to workshop it goes. Operating as a global set up based in Australia, clients receive 24 hours service, samples delivered to their doorstep (how awesome is that? ), speedy and cheap (US$25!) delivery and further customer perks, for a reasonable price. In addition to that, look out for discount coupons when promotion periods are on! 3. Competitions and lucky draws! 5. 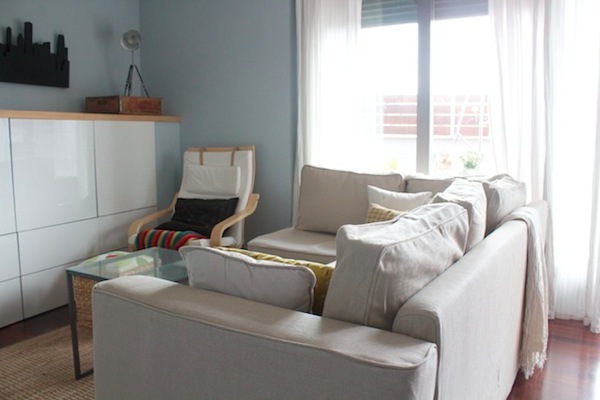 Great home ideas, and being listed in the directory of Houzz and IKEA is a huge achievement. Congratulations! And expanding further into their expertise, creativity and innovation, how about some soft toys? Designed by… you or your kids? 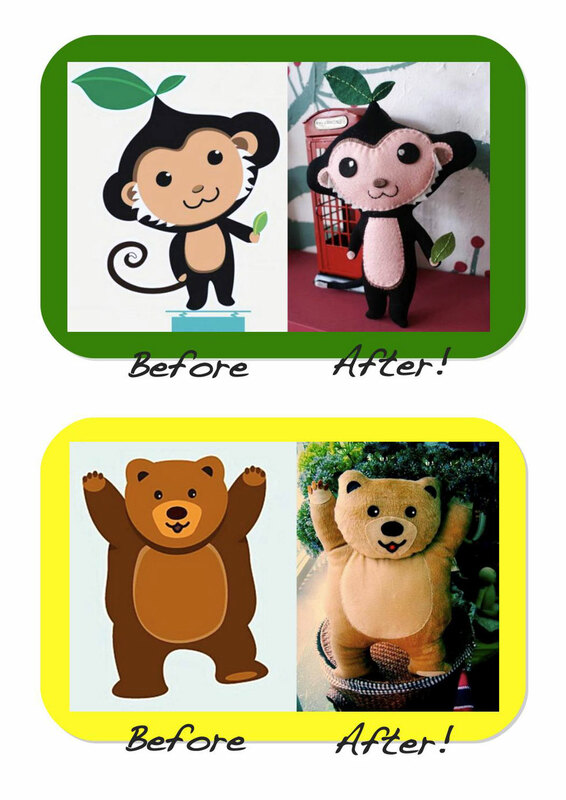 Visit http://www.comfort-works.com/ where you can find an amazing self selection of fabrics, an awesome blog giving you some ideas to your new refurbishment project, and the adorable kids section. 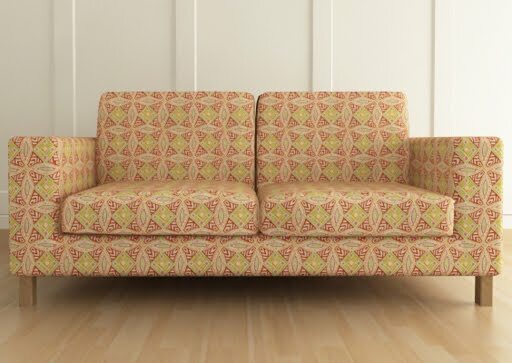 Posted on January 30, 2013 by ChalkandRaddyPosted in Creative LifestyleTagged comfort-works, http://www.comfort-works.com/, sofa covers, sofa slip covers.